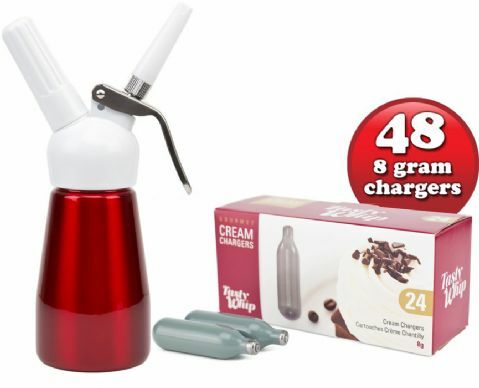 48 Tasty Whip Cream Chargers & 1/4 Litre Best Whip Mini Cream Dispenser. Choice of Colours. 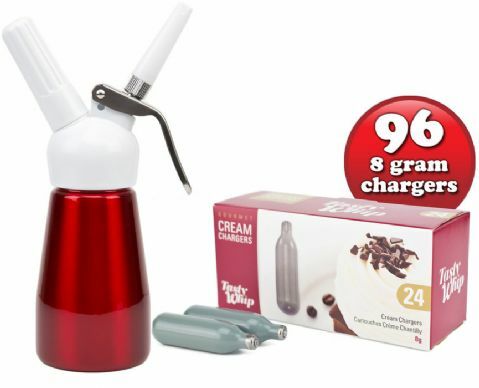 96 Tasty Whip Cream Chargers & 1/4 Litre Best Whip Mini Cream Dispenser. Choice of Colours. 144 Tasty Whip Cream Chargers & 1/4 Litre Best Whip Mini Cream Dispenser. Choice of Colours. 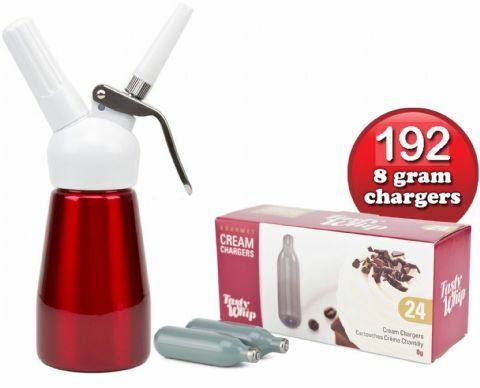 192 Tasty Whip Cream Chargers & 1/4 Litre Best Whip Mini Cream Dispenser. Choice of Colours. 240 Tasty Whip Cream Chargers & 1/4 Litre Best Whip Mini Cream Dispenser. Choice of Colours. 48 Tasty Whip chargers & 1/2 litre Tall cream dispenser. Choice of 5 Colours. 96 Tasty Whip chargers & 1/2 Tall cream dispenser. Choice of 5 Colours. 144 Tasty Whip chargers & 1/2 litre Tall cream dispenser. Choice of 5 Colours. 192 Tasty Whip chargers & 1/2 litre Tall cream dispenser. Choice of 5 Colours. 240 Tasty Whip chargers & 1/2 litre Tall cream dispenser. Choice of 5 Colours. 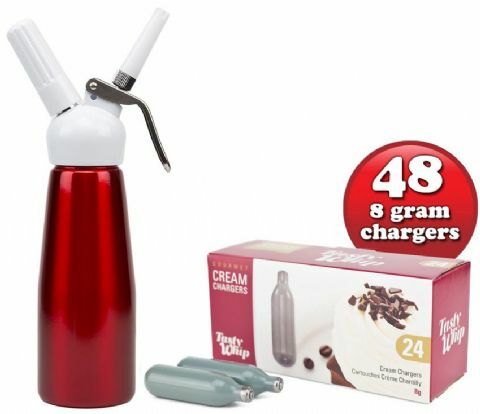 48 Liss Cream Chargers & 1/4 Litre Best Whip Mini Cream Dispenser. Choice of Colours. 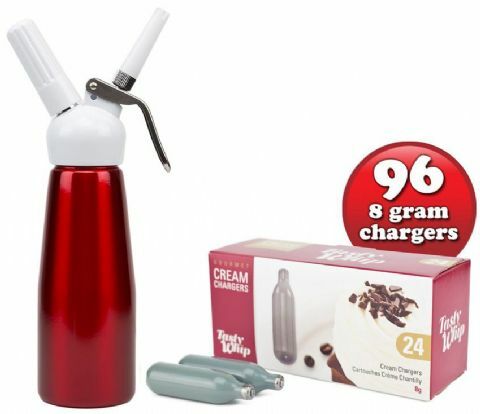 96 Liss Cream Chargers & 1/4 Litre Best Whip Mini Cream Dispenser. Choice of Colours. 144 Liss Cream Chargers & 1/4 Litre Best Whip Mini Cream Dispenser. Choice of Colours. 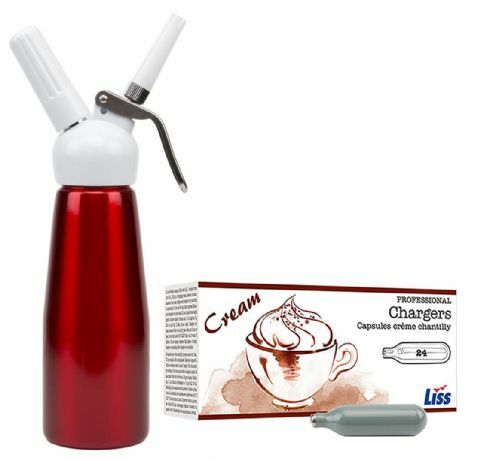 192 Liss Cream Chargers & 1/4 Litre Best Whip Mini Cream Dispenser. Choice of Colours. 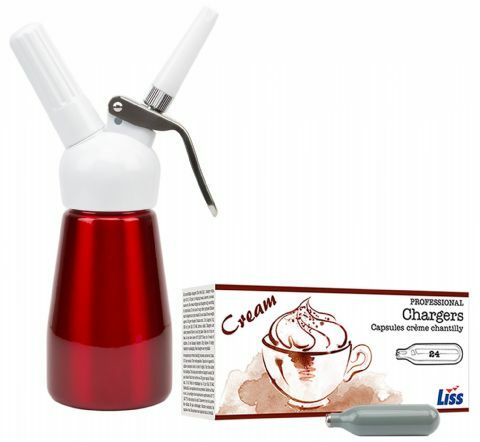 240 Liss Cream Chargers & 1/4 Litre Best Whip Mini Cream Dispenser. Choice of Colours. 48 Liss chargers & 1/2 litre Tall cream dispenser. Choice of 5 Colours. 96 Liss chargers & 1/2 Tall cream dispenser. Choice of 5 Colours. 144 Liss chargers & 1/2 litre Tall cream dispenser. Choice of 5 Colours. 192 Liss chargers & 1/2 litre Tall cream dispenser. Choice of 5 Colours. 240 Liss chargers & 1/2 litre Tall cream dispenser. Choice of 5 Colours.